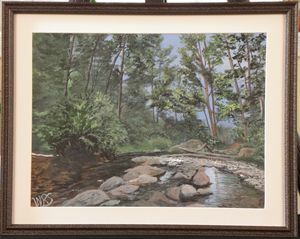 Original Painting, Acrylic on Canvas, in frame. 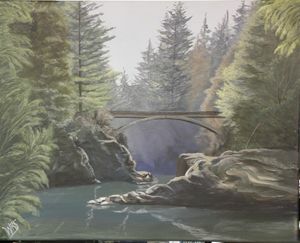 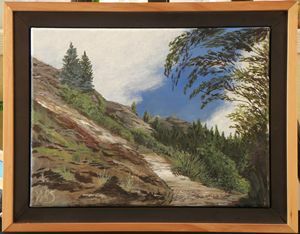 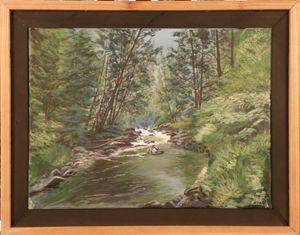 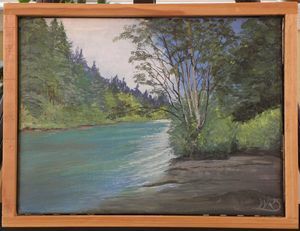 Painting is 20”W x 16”H, Frame is 23”W x 19“H. 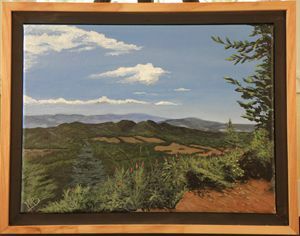 The frame is a floating style with natural wood inner and cedar outer. 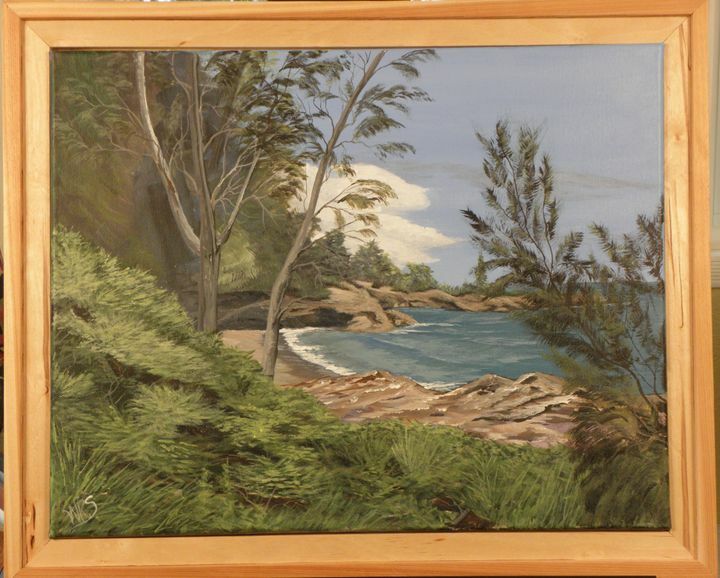 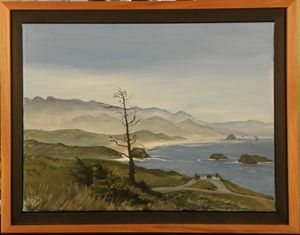 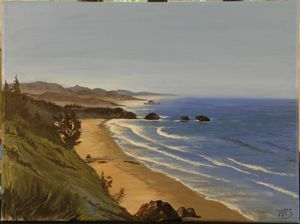 The painting is a scene of a remote beach on the southwest coast of Kauai. 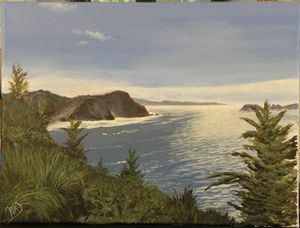 The painting is from a photograph we took while vacationing on the islands. 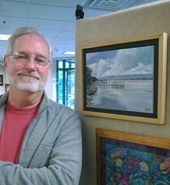 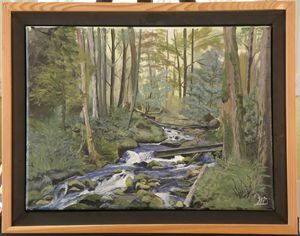 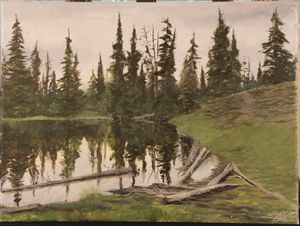 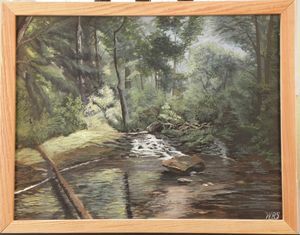 Walter Sanders, Mechanical Engineer, Artist (painting and sculpture), Camping, Wood working. 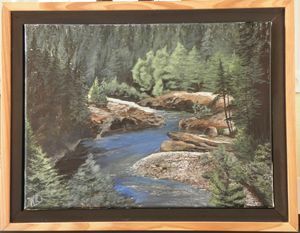 Acrylic on Canvas and Canvas Board. 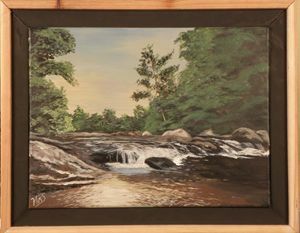 Landscapes: lakes, rivers, waterfalls, mountains... Northwest USA, Georgia, Florida, Hawaii.